What Are Solar Battery Enclosures? Small and medium size aluminum solar battery enclosure. Designed for off-grid solar applications that require one, or two group 27 size batteries. These NEMA 3R outdoor rated enclosures are designed for pole mounting and are vented to help release battery gases and heat. Mounting bracket and hardware is included. 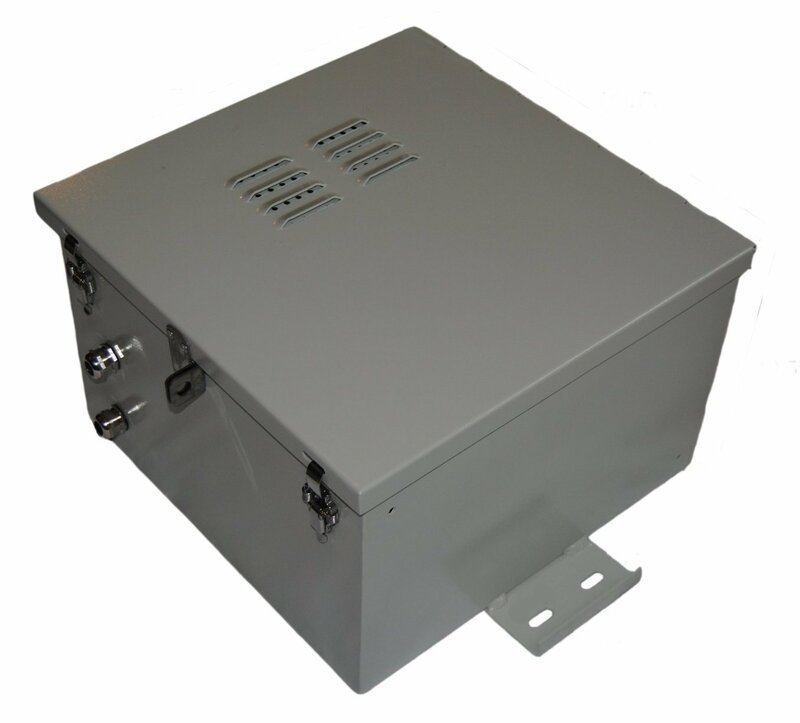 SBB-XL Series - powder coated galvanized steel boxes provide excellent corrossion protection. UL listed, designed to meet NEMA 1 and 3 ratings and well suited for a variety of outdoor solar power applications. External mounting brackets allow installation on vertical surfaces without the need to open the cover and expose internal components. Includes internal panel for mounting charge controller or inverter. Economical Outdoor Aluminum Solar Battery Enclosure for use with solar battery backup systems and various other electrical equipment. Made to accommodate battery and solar equipment such as deep cycle battery up to 110 Ah in size. Box comes fully assembled and well packed to insure safe delivery. Aluminum back mounting plate is included. SSFB Series enclosures are designed to insulate and house deep-cycle solar batteries and associated charging equipment used with off-grid, outdoor, solar power system applications. 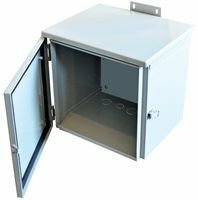 This enclosure comes with a hinged gasketed door, two door screws and vent. Each unit includes a painted steel plate to mount your equipment.